Cake is the only delight in the world that is the star of celebrations. An all-time favorite delight, loved by the people of every age. It tastes so yum and looks so fab that no one can stop themselves from having a bite of it. Winni brings you a delightful range of fresh quality cakes baked with whole care and perfection. Our cakes will lighten up the special day and make it memorable for your near and dear ones. 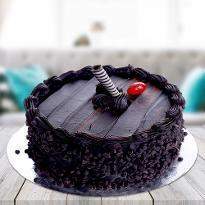 So, order and send cakes to Kharagpur online from Winni as it will be the best way to make them happy. Life gives you many reasons to laugh, smile and celebrate. Whether it is small or big, what really matters is your happiness. Celebrate every single moment of your life which gives you a reason to smile. For those special moments, you definitely need something extraordinary, adding grace to the occasion and joy to the celebration. Winni understands what happiness really means to you. Therefore, we have come up with the fabulous range of cakes that are ready to drool the taste buds of your dear ones in a lovely manner. Our fresh quality cakes will sure to add joy to your celebrations and make the day as wonderful as you are. Winni brings you a wide assortment of cakes in a variety of flavors like chocolate, butterscotch, red velvet, pineapple, strawberry, and many more are still adding to give you a unique tasting experience. Dive into the world of tasty cakes as it is something that can immerse you in the aura of happiness. 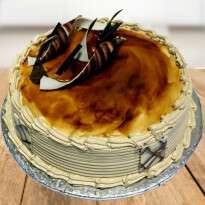 We all love the taste of cakes, so it can also be an ideal gifting option for you as here you can easily get the online cake delivery in Kharagpur to surprise your dear ones. 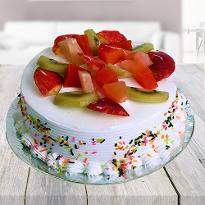 With Winni, you can send cakes to Kharagpur online with ease of click and make the day memorable for your loved ones. Nothing can be delightful than the taste of the cake. Don’t you think, it can be a perfect way to make others feel alive & happy? Cakes are an all-time favorite delight and star of the celebration. Without it, celebrations seem incomplete. The lip-smacking flavors of the cake can do wonders into your relationship and make others feel happy. Make your lover feel special by sending Valentine cake to your lover online from Winni. What better way to astonish your lover on Valentine Day than to send your lover Valentine cake online from our online portal. There is just nothing that can measure up to the essence that cakes fill in an occasion. It is one of the heart-melting delights, ready to indulge everyone in its immense sweetness. Winni is an online cake platform where you can easily pick your desirable cake, place your order and send it online in Kharagpur with the ease of a click. Whatever the special occasion is, be it a birthday, anniversary, father’s day, mother’s day, office function, promotional events, congratulations, a cake is the only delight that can bring happiness and joy into the celebrations. So, what are you waiting for? 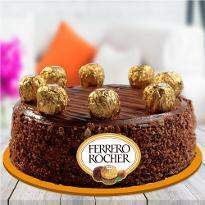 Browse our extensive collection of delicious cakes and pick the best one for your dear ones. It's gorgeous appearance and irresistible taste will leave a long-lasting impression on the recipient’s mind. Just place your order and get the online cake delivery in Kharagpur with the ease of a click. Products in this category have been rated 4.9 out of 5 based on 348 reviews.